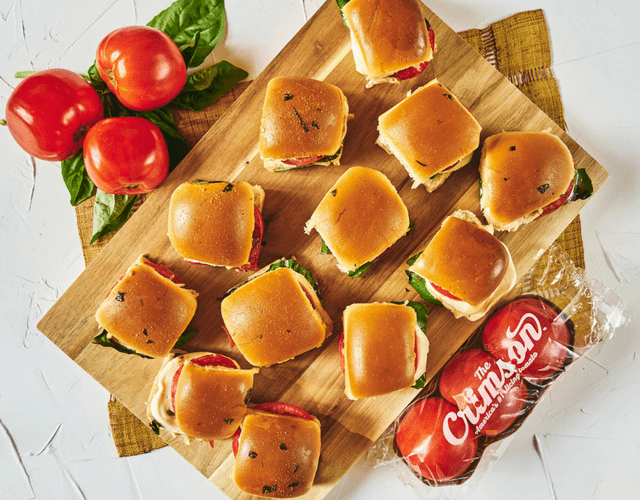 If “simplicity is the glory of expression” then our Crimson Tomato Caprese Sliders are a masterpiece. Inspired by the simple Italian salad, made of sliced fresh mozzarella, tomatoes, and sweet basil, our arrangement features the Crimson Tomato from Lipman Family Farms. 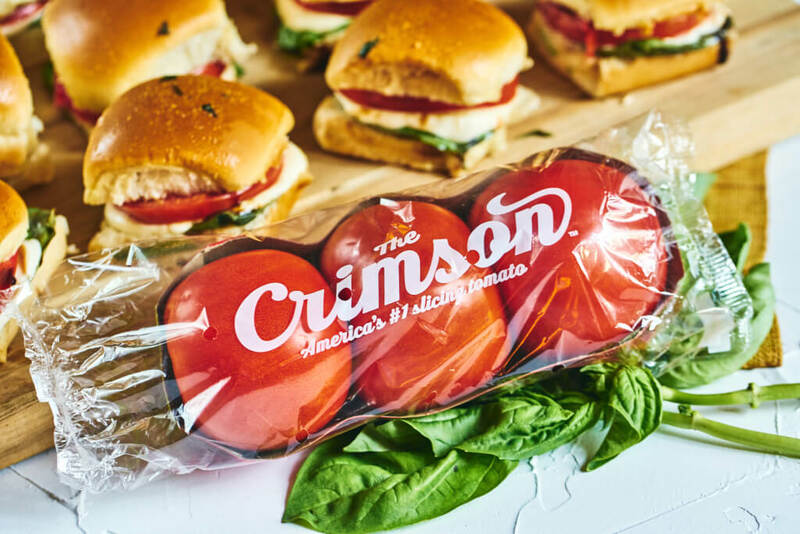 Vine-ripened and specially bred in Florida, this tomato’s highly chromatic deep red color and intense flavor is sure to become the crown jewel of your favorite recipes. High in lycopene, an antioxidant, and rich in potassium, this tomato’s health benefits abound. 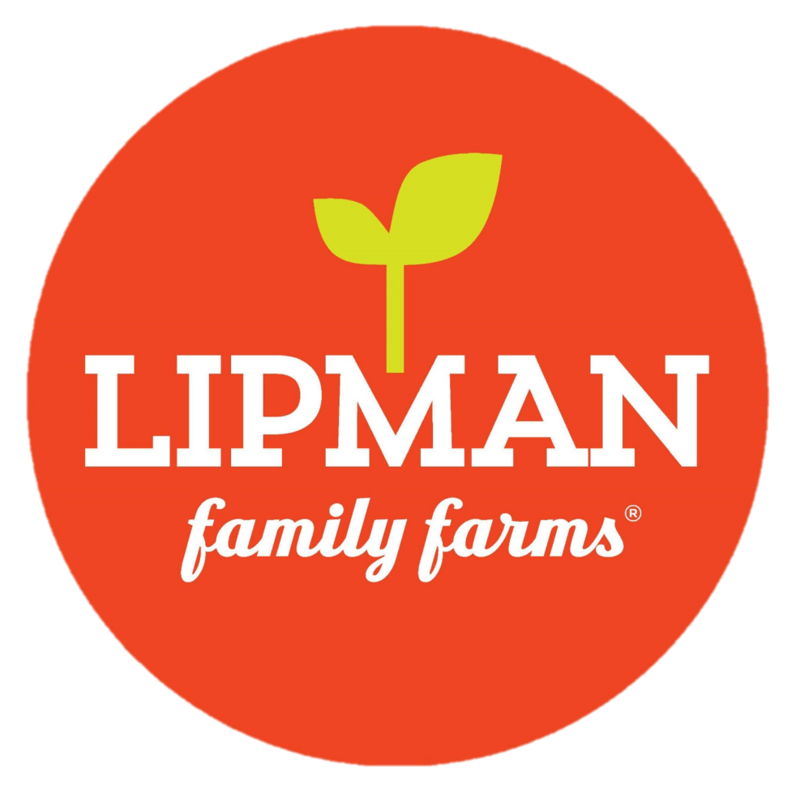 Offering “the best of nature,” Lipman Produce is America’s largest field tomato grower. They are self proclaimed “freshness freaks” with a passion to deliver the very best of nature while remaining earth-conscious and family-driven. The fruits of their labor show in their Crimson, which boasts a juicy, homegrown flavor. 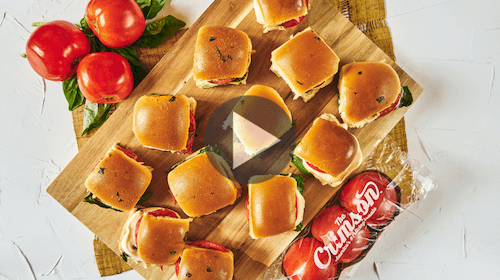 Enjoy each crimson slice in these delectable sliders! 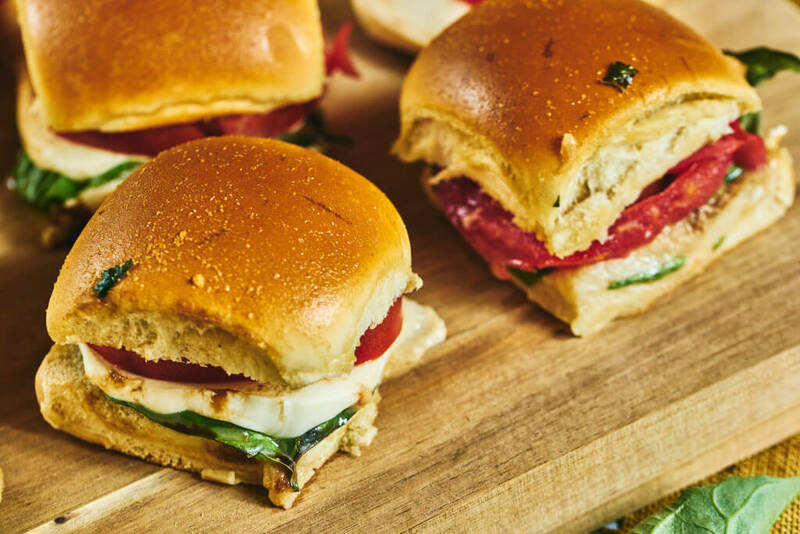 TIP: Place fresh mozzarella onto paper towels to get rid of extra moisture that may cause your sliders to become soggy. Heat oven to 250F and line a baking dish with foil or parchment paper. Remove rolls from package keeping them whole (attached). With a large bread knife, slice the entire loaf of rolls in half horizontally and remove top half (carefully keeping the rolls together). 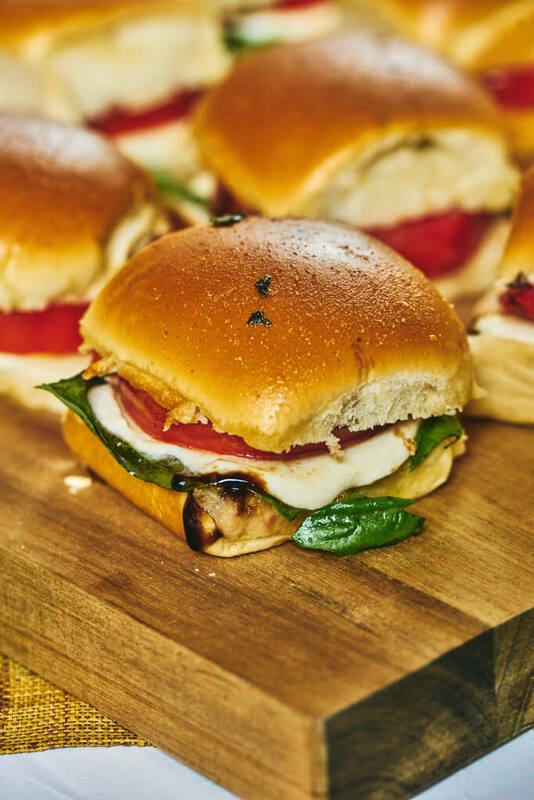 Add bottom half of rolls to the lined baking sheet and layer: whole fresh basil leaves, sliced Crimson tomatoes, slices of fresh mozzarella, and a drizzle of balsamic glaze. Add the top layer of rolls and lightly brush with melted garlic butter & chopped basil mixture. Cover with foil and bake in the oven for 15 minutes or until warmed through and cheese is slightly melted. Carefully remove from the baking sheet and transfer to a cutting board. Using the same large bread knife, slice rolls into slider sandwiches. Serve immediately and enjoy!